On my visits back home, I spend precious time with my mother at my childhood home. The times I get to spend with her are special. It often seems like no time before we are back on the road going back to my home in Newnan. Sometimes, I am able to get out and drive around the town and county and pass by old places that I remember from my childhood. On a recent trip, I was able to take the time to drive down by my grandmother’s old house in what is now called East Jackson. It may show as East Jackson on some maps, but it will always live in my memory as Pepperton or to the familiar, just “Pep”. Pepperton had begun as a mill village centered on the textile mill by the same name. The mill was built around the end of the 19th century. As was common in that era, houses for the workers were built around the mill. The houses were mostly all the same and there were stores, shops and businesses built within the mill village. The mill provided jobs for hundreds in the community. The little village would take on its own personality and become a true community. Mill life and the mill village would be an important staple in the community for nearly 100 years. It would be an economic engine for the community along with other mills in the county. This common model would be a standard for so many towns and counties and would define a way of life. My maternal grandparents were a part of this lifestyle. They lived and worked in Pepperton. They earned a living and made a life for their family in that mill village. After their shift in the mill ended, they would earn a few extra dollars by cutting hair in a barber shop next to the mill. These few dollars made would be put away for my grandfather’s dream of buying some land out of town someday where he could farm and hunt and fish. The people of Pepperton were a close knit community and were proud to be a part of the mill village. 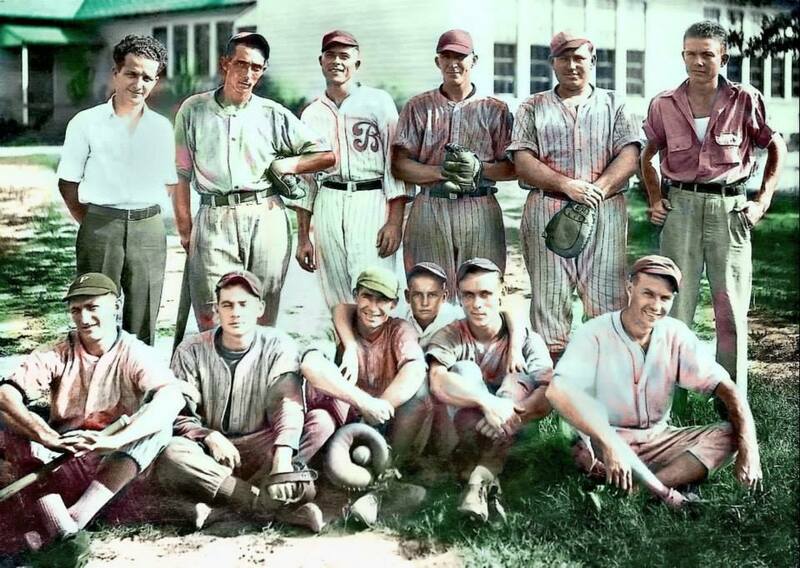 The village would also have a baseball team made up from workers in the mill and residents of the village. My grandfather, his brother and a number of friends were part of the team and they played other mill teams in a league. They had a reputation as one of the best teams around, those young men of Pepperton. I hear my grandfather was a pretty good baseball player. I have asked my mom what position he played and the best she could remember was “behind the pitcher”. I think he was a short-stop or 2nd baseman. I think my Uncle Donnie received the athletic genes from my grandfather; he would later become a star half-back for the Jackson Red Devil’s in the 1950’s. I was never much of an athlete in school, but I am sure those athletic genes from my grandfather helped me to master the obstacle courses and physical demands of Infantry training at Fort Benning as a young officer. My grandfather had also served his country. He was just shy of being old enough for World War I, but he would be a soldier with the Jackson Rifles, a National Guard unit in Butts County. He also served as the company bugler. The Caston family would not go untouched by the war. My grandfather’s older brother, Jesse Caston, would be killed in action in the trenches of the battlefields in France. His name now etched on the Jackson Veteran’s Memorial for all eternity. My grandparents would raise a family there in the village. My mother Edna was the oldest, and she would be joined by two younger brothers, Billy and Donnie and a sister, Angelyn. They would all grow up in the mill village during the Depression years, during years of World War II and during the 50’s. My Uncle Donnie was the last to leave the mill village in the late 50’s. Located close to the mill was a pond where people of the village would catch fish. There was also a community hog pen where members of the community could keep their personal livestock. I remember one of my older brothers talking about going to play at the “Pep Hog Pen”. By the time I came along as a child, I would not get to play in the “Pep Hog Pen”, but I would catch my first fish in “Pep Pond”. I would spend a lot of time in “Pep” as a child. I would get on my bicycle and ride down the street until I came to the service road that ran in front of the mill. I would hear the activity in the mill from some open windows as I bicycled past the cars of the people who were working inside. By this time, my grandmother no longer worked at the mill. I would turn my bike onto Mill Street and pedal to my grandmother’s front porch. I would walk in and say, “Hey Bon Bon!” We all called her Bon Bon, but her name was Bonnie. One of my older cousins started calling her that name when he was a toddler and the name stuck. She would then ask me if I wanted a “Cocola”. I would always answer yes. She would always keep the small Coca-Cola bottles in her refrigerator. They were always a special treat. They were ice cold and I always enjoyed “popping” the top off with the bottle opener she had mounted on her kitchen wall. She had been a widow now for over 20 years. I never met my grandfather. He died in 1947. He passed away from a heart attack just shy of his 45th birthday. He had realized his dream of buying some farm land and that is what he was doing when he fell ill. He was working in his field, tilling the soil. 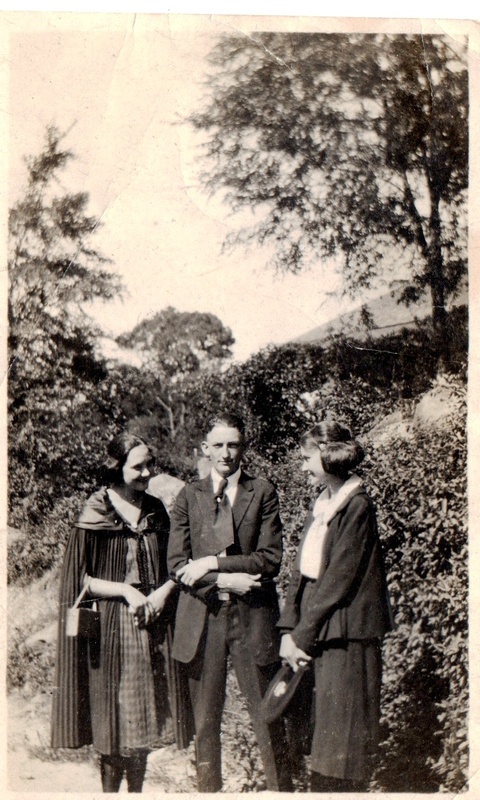 My mother told me he had always been industrious and was always on the go. Whether working in the mill, the barber shop or farming or hunting, he had a zest for life. 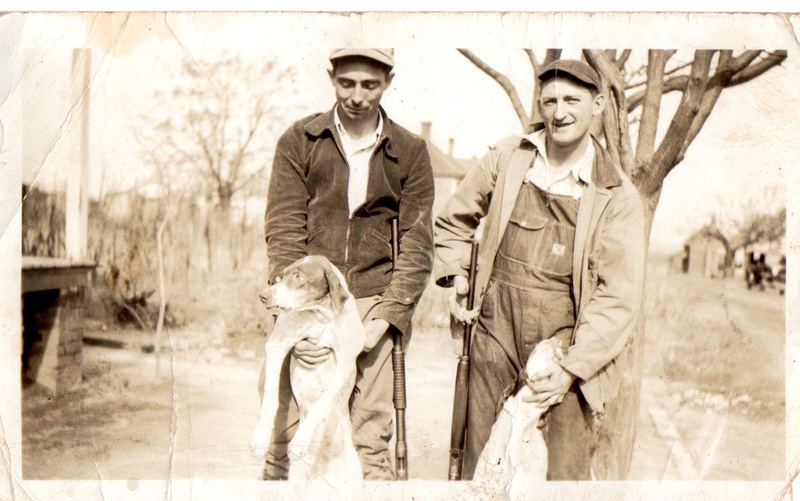 He loved to bird hunt and many a quail would be fried up by my grandmother and served on their kitchen table. 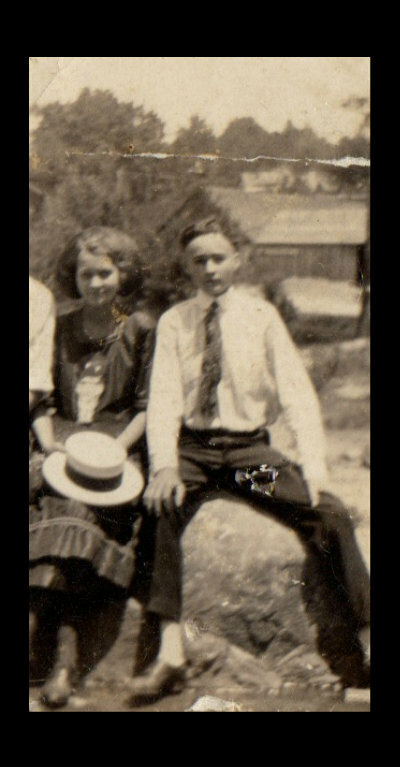 My grandfather’s younger brother, Wilson “Toots” Caston, was then the only surviving Caston son. He would go on to build the best pulled pork barbeque stand in the state of Georgia, “Fresh Air BBQ”. He would be a respected businessman and community leader for the remainder of his life. 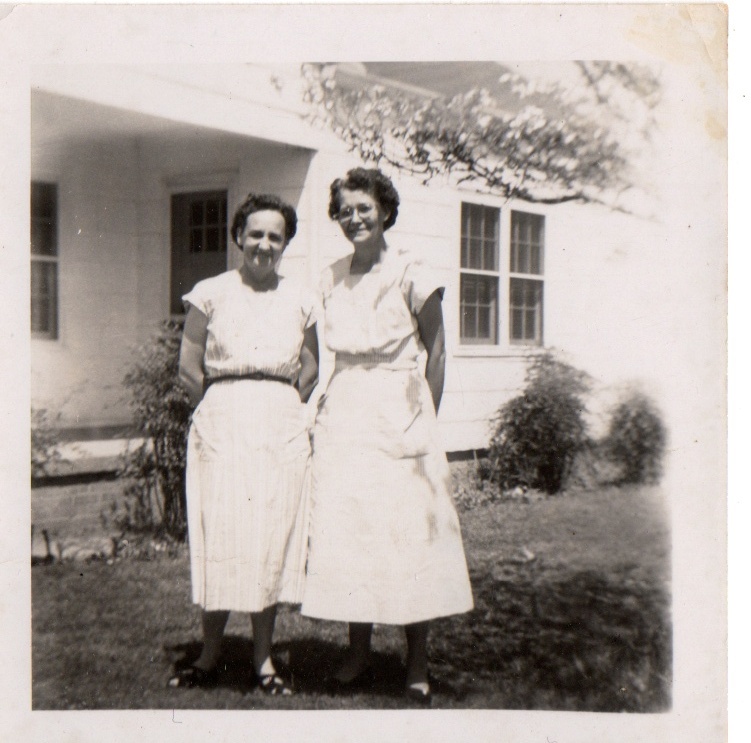 After my grandfather died, my grandmother was faced with making a living on her own. She still had two children at home to support. The land that my grandfather had purchased through his many years of hard work at the mill and cutting hair would now have to be sold so my grandmother could continue to survive on her own. She was able to remain in her home in Pepperton, but the land and farm had to be sold. She continued working in the mill for a while; she would also cut hair for people in the village. She also cut my hair, along with my brother’s, for quite some time. I can still feel the itch of freshly cut hair on the back of my neck and the smell of her talcum powder that she would sprinkle on her brush before she stroked it across my brow. After the last of her children had left her home in the mill village, she continued to cut hair on the side, but she also worked at the local Tastee-Freez restaurant in town across the railroad tracks in Jackson. 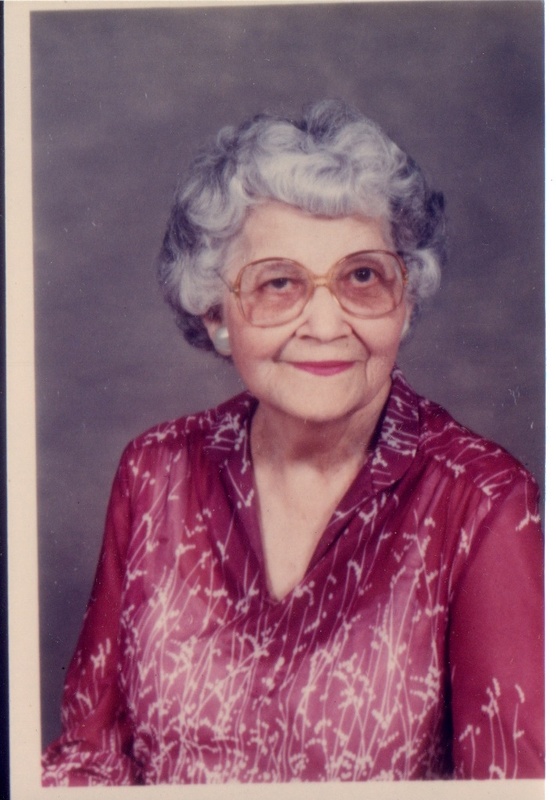 She would also later work as a waitress for Tomlin’s Restaurant across the bridge over the Ocmulgee River. They served some fine fried catfish. Some weekend nights, she would let me and my little brother count her tips. We would spend the night with her some weekend nights watching TV, playing games and sipping “Cocola” from those little ice cold bottles. In her later years, as she put on her housecoat and got comfortable for the evening, she would indulge in a portion of “Brutton” or “Tube Rose” snuffs. Many times when I visited my grandmother, I would reach out for the memory of my grandfather I never knew by reading the books he liked to read. My grandmother had kept many of the books that my grandfather enjoyed in her spare bedroom, where she also had a chair with a stand-up hair dryer attached to the top. A chair she used in her beautician duties. I would sit in the beauticians chair and read the works of James Whitcomb Riley or the volumes of “R.E. Lee and his Generals”. I inherited his love of reading and I am thankful for that. My brothers and all of my cousins would also make memories in that little mill house. Visiting “Bon Bon” and forming those precious bonds, between a grandmother and grandchild, would echo in our hearts for a lifetime. My grandmother would continue to live in that little mill house until her death in 1989. I remember getting the call from my mother. Fortunately, I was stationed nearby at Fort Benning, Georgia. After hanging up with my mother, memories rushed into my mind of ice-cold Coca-Colas in a bottle and my red bicycle leaning up against her front porch. I wept. I was honored to be a pall-bearer at such a great woman’s funeral. My mother and aunts and uncles would sell the little mill house that had been my grandmother’s home for over 60 years. Sometimes when I go home, I will drive by that little house and relive many memories and think of a time when I was a little boy. I recently drove by and saw two little girls playing in the yard where I once played. They were making new memories as the little mill house stood witness. Sometime later, my mother told me over the phone one day that they were going to tear down the old mill. The mill had stood as a landmark in the community for nearly 100 years. On my next trip home, I was compelled to drive down to see what was left of the old mill. As I turned down the service road where my bicycle tires had logged over a hundred miles, I could see where the mill was no more. The absence of her brick walls left a void on the landscape. My progress was impeded by the presence of a makeshift construction fence. I stopped my car and got out and surveyed what lay before me. Piles of rubble and stacks of bricks were all that was left of a way of life. There are still many mill houses across the railroad tracks that separated the mill from her community, but the heart of the village was now nothing more than piled up bricks and mortar. I stood there and continued to survey the site before me. I daydreamed of a sunny summer day riding my bike along the service road with my fishing pole in hand saying “Hello” to someone coming out of the mill. I would soon turn left and go across the railroad tracks and disappear down the street headed to my grandmother’s. I walked up to the fence to get as close as I could to reclaim my memories. Right inside the fence were neatly stacked sets of bricks from the mill. I guessed that some of the bricks would be collected and re-purposed for other construction activities elsewhere. At that moment, without hesitation, I reached across the fence and I took two bricks from one of the stacks. Reaching for a memory, I took one for my grandfather and one for my grandmother. I took them back to my car and placed them in the floor board. I hoped that two small bricks missing from the stack would not be missed or even given a second thought by the workers who would come back on Monday, because at that moment, those two bricks meant the world to me. I stood at the door of my car and peered over the mill site one last time. The next time I see the site, it will probably look like a barren landscape. As of this writing, I don’t know what may be built there again. Memories of my grandparents, of Pepperton and the mill will continue to live in me for as long as I live. Two “old bricks” sitting on my bookcase will never let me forget. Love this. The pictures are also great. Thank you Kelly! I love writing and I’m glad you enjoyed it. Thanks for this story. My parents both were from Butts county and I still go back occasionally to visit family that we have left there. I visited the Memorial Wall last fall. My uncle JB Singley was also killed in France and is listed there. My Mother Ann Barnes grew up in the Tallaga Community. She just recently passed away in Florida. Thanks again for sharing. I sure do appreciate your comments Joyce. I’m glad you liked it. Again, you had me in tears, BonBon’s house was always so special to me as a child, and coming to see you and Joe and trying to keep up with you two, climbing that dogwood tree in BonBon’s front yard, swimming at Jackson Lake, and the slippery rocks at Indian Springs, those were some of the best days of my childhood! Thank you so much for your stories they really mean so much to me, more than you know! Hal, I’m so glad that you enjoyed it. It was a labor of love. I shed tears writing it. We shared a wonderful grandmother. Thank you.